by Glenn -- Funky colors & plaid pants are making a comeback, so why not jump in early on the trend with a fashion statement sure to garner as much attention? 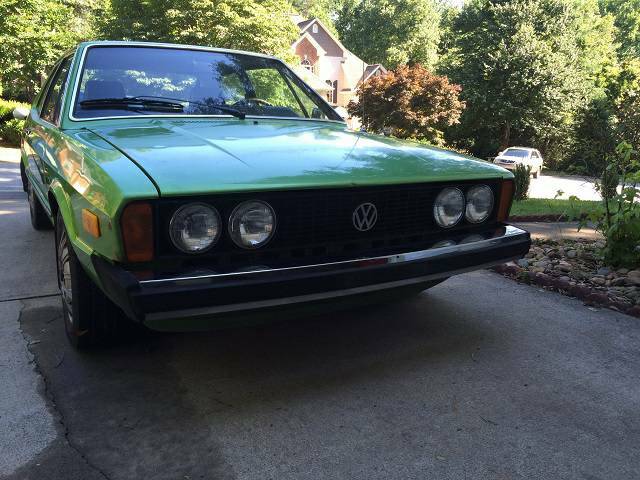 Find this mostly stock 1976 Volkswagen Scirocco offered for 5K in Greenville, SC via craigslist. 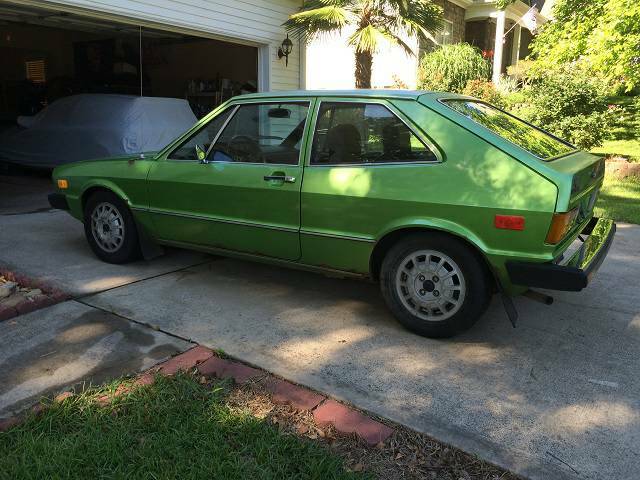 Yes, it's bright green...and sporting some surface rust...but this is one sweet unmolested MK1 Scirocco. VW began design work on the Scirocco in the early 1970's as a replacement for the Karmann Ghia. Penned by the famous designer Giorgetto Guigiaro, the Scirocco was first available for purchase in 1974 and remained basically unchanged through the MK1 run until 1981. The early models like this example benefited from sharp lines and minimal add-ons for a harmonious look. The integrated mini tail on the hatch hints at sportiness without gaudiness. It's only when you step inside that this time capsule reveals itself. The interior screams '70s with the plaid seat inserts and silver matte finish dash bezel. Although the front seats need some attention, overall the inside looks to be in good usable condition. Judging by the fabric wear, the passenger seat was most likely switched out with the drivers side at one point. 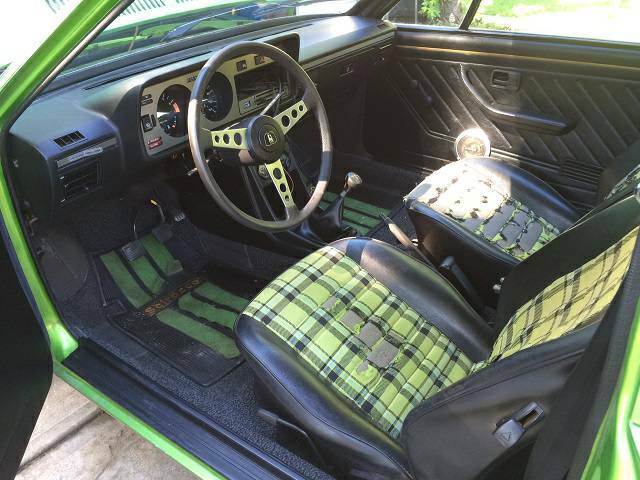 Finding new matching plaid fabric might be a chore, but 914's of the era were similarly equipped so aftermarket materials may be readily available. The interior matching floor mats are a nice bonus. Shared across the VW product line, the peppy 1.6L 4 cylinder looks ready for duty. Under hood plumbing is clean and flows nicely. No signs of over spray are visible in the pictures suggesting the car may be wearing it's original paint. 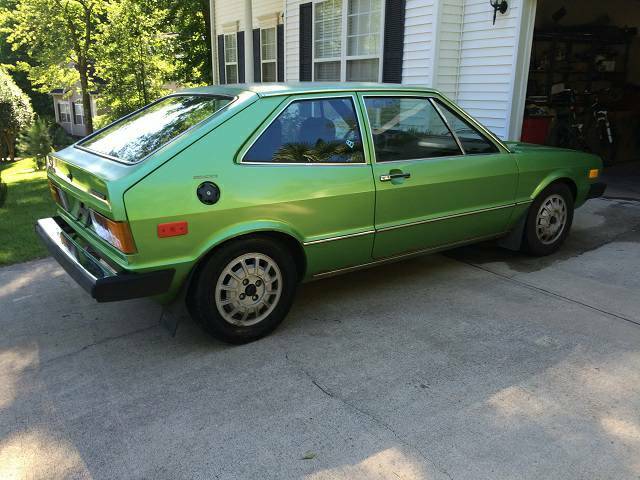 All USA destined Scirocco's through to 1978 were 4-speed manual equipped. 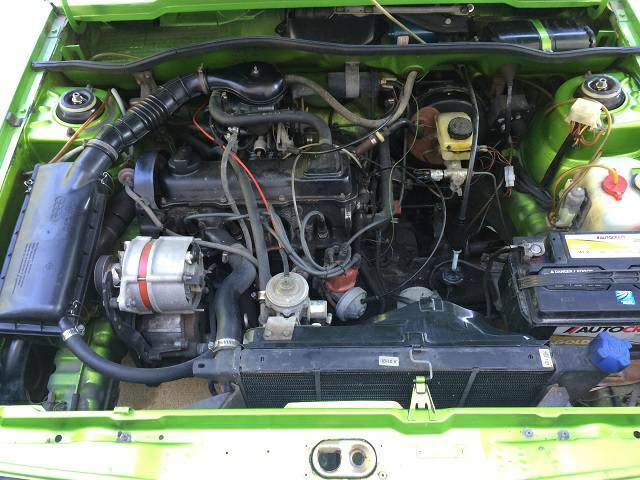 Scirocco's are commanding more attention lately and steadily increasing in value, and this early MK1 example has a lot of potential. This ad has all the makings of a flipper fishing the market, but closer inspection and some slick negotiation could land you the next best accessory to a vintage Gucci bag. I like these. I think the 411 - 412 came out about the same time, and I was all hot for one, but due to the currency exchange of the day, VW's were way too expensive. Cutting the door cards for speakers, drives me to distraction. Gucci bag, isn't that one of those things you have to wear on your side after an operation? The rust deserves a tad more attention than, "not serious." Behind it could be a mess and which point, drop a zero and you have a great parts car. It might truly be minor, but rot that blossoms out like that can be tragic. Just check. That rust looks very substantial. Behind the scene is usually 2X or more worse. Even what is showing would require lots of money for metal work, welding, prep and painting, easily over the value of the car. Prefer to enjoy the green in my pocket rather than on Kermit here. BS that rust isn't serious.